Many people enjoy using ride share services because it is a cheap and convenient means of travel. However, accidents do happen. If you are riding in an Uber and an accident occurs, who is responsible for your injuries? If you live in Orlando, the Orlando car accident attorneys at Horst Law firm is here to help you. In the last few years, there has been much confusion over ride share drivers and their level of negligence should they have an accident while on duty. It all came down to whether or not a ride share driver is an actual employee or contractor. Uber drivers are required to carry their own insurance just in case of an accident. However, the laws regarding ride share drivers vary from state to state. If you life in Orlando, FL, our Orlando personal injury attorneys can give you the guidance you need if you are in an Uber accident. Car accident attorneys Orlando will analyze your case and represent you to the fullest. The first thing your lawyer will do is sue the driver’s insurance company. They may be able to sue Uber as well. If you are injured, your lawyer will do everything to help you recoup money for medical bills, wages, pain and suffering, and possible punitive damages. The Horst Law Firm has a successful track record in helping pedestrians and riders injured by Uber. In the past, Uber has attempted to get off the hook by claiming drivers are independent contractors and not employees. This has not gone well for Uber in the past. Most courts have found that Uber owes a duty to its passengers and should take responsibility if an accident occurs while a driver is on the clock. 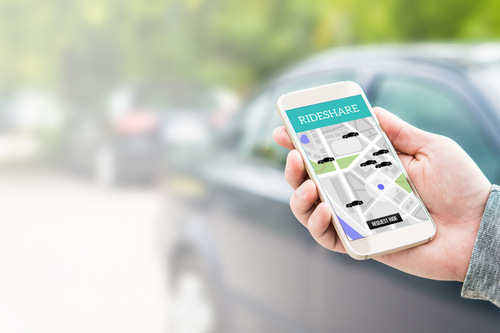 If you have been injured while either riding in an Uber or as a pedestrian, contact an experienced ride share accident attorney to preserve your rights.